Sometimes, there are weather events beyond our control. (A little rain in the forecast won’t stop us.) 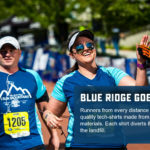 But if there is a threat of more severe weather, the Blue Ridge Marathon is dedicated to ensuring the safety of all participants, volunteers, and spectators. If race officials deem the course unsafe because of weather conditions, here’s what you need to know. Race officials may cancel, delay, or change the event in case of extreme weather or other conditions that may affect the safety and health of participants. The race can be delayed for a maximum of one hour from start time. If severe weather hasn’t cleared within one hour, the race will be canceled. 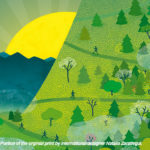 The race director and medical director, in consultation with law enforcement, fire/EMS, National Park Service, and other officials, will monitor the weather and make a decision if any action is necessary. The race director may decide to shut down the course after the race has started if weather conditions deteriorate. Runners will be asked to take shelter at the closest aid station (there are 19 along the course) and wait for a shuttle to the finish line. The race will not resume. If you refuse to take shelter and continue, you do so at your own risk. Volunteer course marshals will be released from their positions if the race is canceled. Zone Captains will notify marshals at each location. Entry fees are nonrefundable. In the case of cancellation, we will offer a 50 percent discount to all participants for next year’s race. We are a nonprofit organization operated by volunteers with a small administrative staff and proceeds are donated to nonprofits. Check the marathon website, event app, Facebook and Twitter for weather updates prior to and during the race.